Total Cost Sourcing (i.e. making sourcing decisions based on the total impact across the whole company) takes many different forms and yields many benefits. In this article, we explore various applications, starting with simpler things like calculating total landed cost, and moving to more sophisticated applications like the tradeoffs between the cost of manufacturability and the cost of inventory. As mentioned in part one of this series, when calculating total cost in sourcing decisions, companies should strive to measure those cost elements that comprise a significant percentage of the total cost and have good data. For many companies, total landed cost is a good starting point. This is defined as the total of all the costs incurred to deliver a product to the point where revenue occurs, which is usually receipt at the buyer's door. The definition sounds simple enough, but you will find a fairly wide variance in what is included in that calculation, depending on the company and the tool used. Total landed cost analysis tools typically include the material costs plus duties, tariffs, customs fees, brokerage fees, logistics, transportation, insurance, taxes, warehousing, crating, handling fees , and sometimes other items. Total landed cost calculators usually have a means to update their own database any time tariffs or trade rules change (for example, denied party lists). These tools may be standalone or embedded in global trade management or transportation management software suites, which are seeing wider deployment. Tools embedded in these suites have the advantage of pre-integration with many of the sources of data required. Alerts may be sent to sourcing personnel when things such as duties or tariffs change, because these changes may affect sourcing decisions in progress or that already have been made. Total landed cost calculators can be useful, for example, in "duty engineering," which plays "what if" for various sourcing scenarios in order to explore the impact on duties and tariffs. For example, if a high duty is imposed on imported sheet steel and there is no duty on imported enclosures, you may decide to fabricate metal enclosures offshore. One major industrial manufacturer uses total landed cost in sourcing decisions, and includes material costs, transportations, tariffs and duties, taxes, insurance, and several other items. It then adds on the impact of lead times on safety stock, and the impact of Incoterms on cash flow. 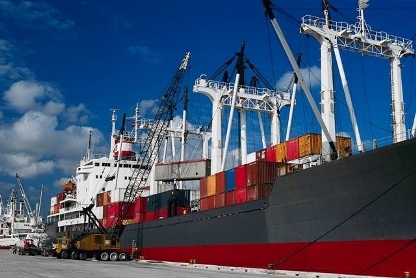 They found that the nonmaterial costs usually ranged from 13 percent to 24 percent of the price of the imported materials, but could be as high as 200 percent in cases where anti-dumping or other special fees were involved. These tools enabled the company to "engineer" their supply chains (taking into account duties and tariffs, etc.) and make sourcing decisions to achieve the lowest total cost. Although the concept of Economic Order Quantity (EOQ) has been around for literally a century and a variety of newer algorithms exist as well, many companies still do not make wise order size decisions. As dicussed in the prevous article in this series, if PPV is the overriding metric that buyers are measured on, they will inevetibaly opt to buy in larger quantites to take advantage of volume discount opportunities or limited time price discounts, or because the buyer anticipates a price increase due to market conditions or other factors. However, larger orders often increase the total cost. · Demand - a good forecast, accounting for promotions and other factors, is needed. Forecast accuracy may be one limiting factor. · Ordering costs - includes the cost of the entire requisition process, inbound frieght costs (if any), receiving, inspection and test, reconciliation, and payment processing. Getting accurate per-order labor cost estimates can be challenging. One approach is take the percent of time a group spends on the specific activities, multiply it by their labor costs and divide by the number of orders processed. · Carrying costs - including storage costs, time value of money invested in inventory, cost of managing the inventory such as cycle counting, insurance, and taxes. Storage costs should not include warehouse costs that are not affected by inventory levels, such as picking and receiving. Storage costs are often calculated as a percent of the inventory value, but will be more accurate if based on actual per unit storage requirements. Risks of obsolescence, spoilage, damage, and theft should be included whenever they are signficant. An additional challenge is the fact that the traditional EOQ formula assumes demand and cost are constant, which is almost never the case. There are scores of Excel spreadsheets you can download that calculate EOQ, but for the most part they do not take into account changes in demand and cost and require manual entry of data. Decision Support Systems are better equiped for these more complex calculations. In fact, these systems can support even more sophisticated approaches, such as market-driven optimization, to align these sourcing decisions and other operational decisions with the corporate strategy and CEO's goals. The following example from Dell illustrates how tradeoffs can be made between different elements of total cost, in this case manufacturing cost vs. inventory cots. Dell has always been very focused on driving to ever lower manufacturing assembly costs. In this example, their requirements specified having the power supply already assembled in the chassis they received from their supplier, because it shaved 90 seconds off the assembly time. This lowered the manufacturing labor costs, but it created a "reverse postponement" situation that forced decisions on SKU mix 60 days in advance of the actual orders. This required a much larger pool of inventory to meet the required service levels. Dell had developed a total cost modeling tool to analyze these kinds of tradeoffs and in this case determined the total cost actually went up. To solve this problem, the design engineers agreed to start using a single power supply for all models, so they were able to get the best of both worlds--faster assembly (power supplies pre-installed) and pooling of inventory across models. This example shows how the procurement group can work with design and manufacturing groups to drive truly lower total cost. The practice of true total cost sourcing forces a company to break down its functional silos. Creating and using a total cost model may be driven by the sourcing group, but requires active participation from many functions across the whole firm (logistics, engineering, manufacturing, service and support, and so on), as well as from partners outside the company, such as 3PLs, service and repair partners, contract manufacturers, and channel partners. Because of this, taking a true total cost approach needs to be championed and supported by someone with clout across the whole firm, typically at the COO or CEO level. These projects have a higher likelihood of success in firms that already have a culture of breaking down silos, knowledgable practitioners, and integrating or continuing ongoing dialog across the functional groups. In this article, we have covered just a few of the many applications of total cost sourcing. In future articles, we will delve more into some of the technologies that can help organizations get a handle on total cost to make wiser sourcing decisions.